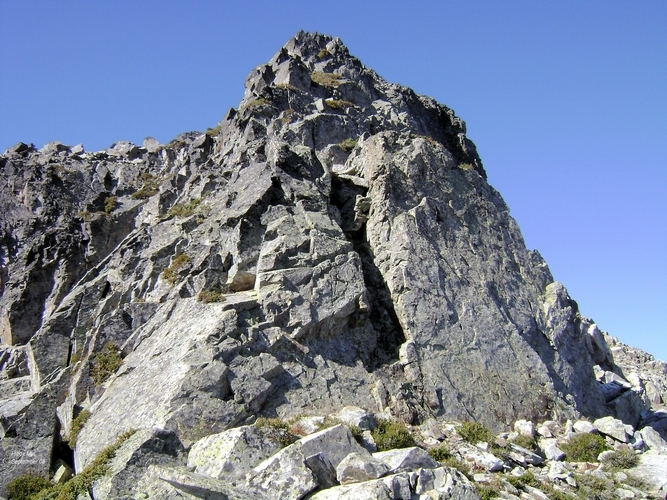 The arete on the SE ridge. The scramble here is short, but lots of fun. The summit is hidden beyond the skyline. I scrambled up from the right (beyond the vertical slabs), but going straight up the crest of the ridge works fine as well.